The final trading day of the week is done and over with. 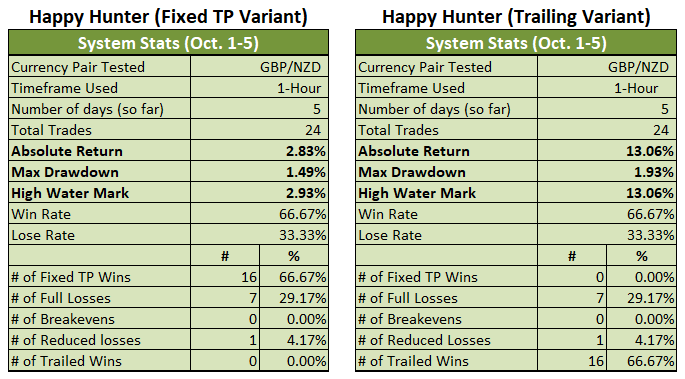 So, how did the two Variants fare during the last hunt of the week? 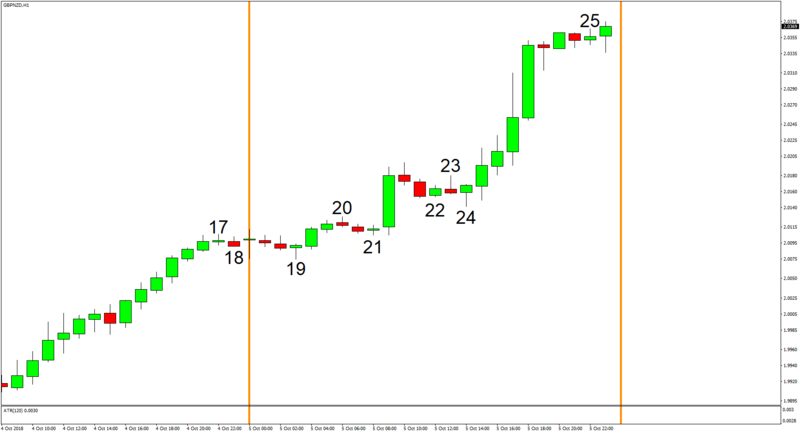 GBP/NZD continued to trend higher on October 5, as you can see on the chart below. Unfortunately, price action during the first half of the day was a bit choppy so losing trades were also generated. The choppy price action during the first half also meant that many of the Trailing Variant’s winning trades were not able to ride the strong uptrend during the later half of the day. 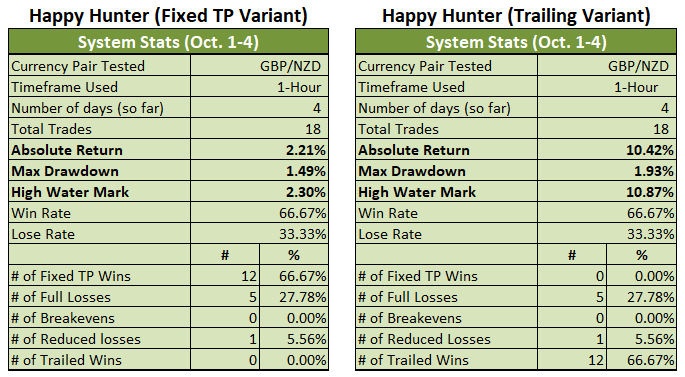 Still, the Trailing Variant was able to gather another bountiful harvest and is now up by a whopping 13.06% for the month (+10.42% previous). Whee! 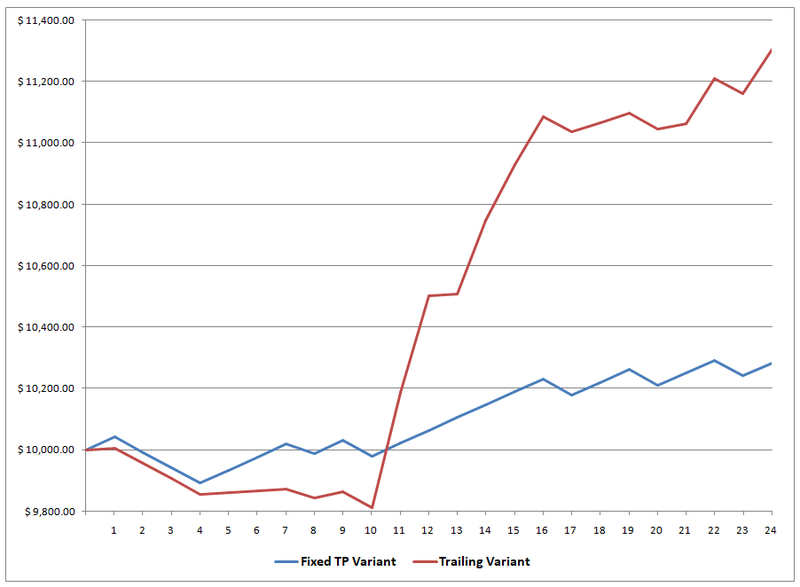 The Trailing Variant also able to add to its gains and is now up by 2.83% for the month (+2.21% previous).